As a full-time trader, I use a great number of tools in my trading tool chest. Software is one of the greatest tools and I take for granted how much easier it is for me to do analysis compared to even 10 years ago – things keep improving. But there is one thing that software has an issue with, and that’s with the perspective of a price chart. Because I am a technical analysis ultra-nerd, I chart some of the instruments I trade by hand – just the weekly candles though. I’m not sure if I coined the phrase or not, but I called it terrestial charting. 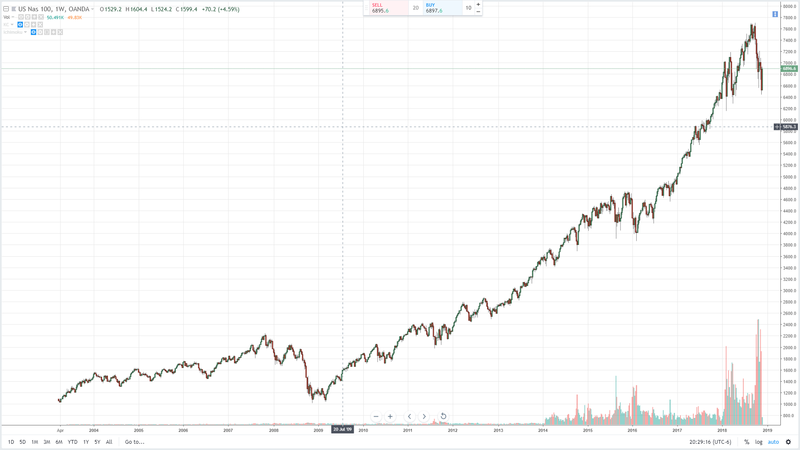 When I was catching up with the past few weeks, I again realized how much more accurate trendlines are on hand-made charts compared to software. And it reminded me of the perspective I get from a hand drawn chart. 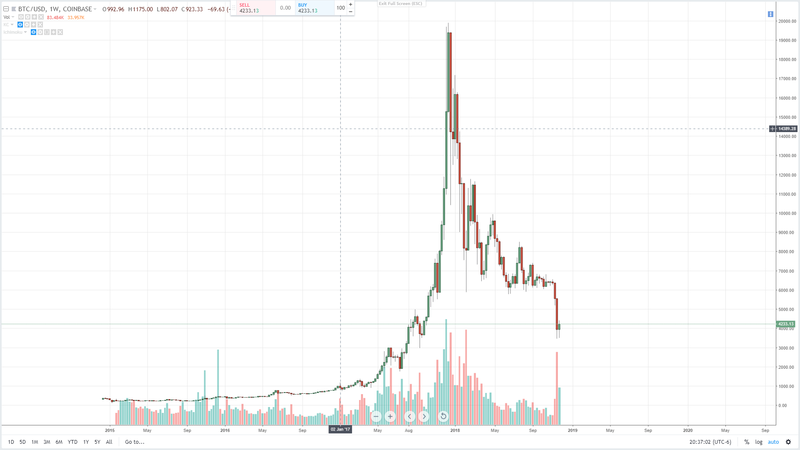 Perspective is key to technical analysis, and it’s especially important for instruments like Bitcoin. Let’s go through a quick definition of what linear and logarithmic charts are. Linear chart – price is scaled to be equal, so 5, 10, 15, 20, 25, 30, etc. You see an equally divided price chart. 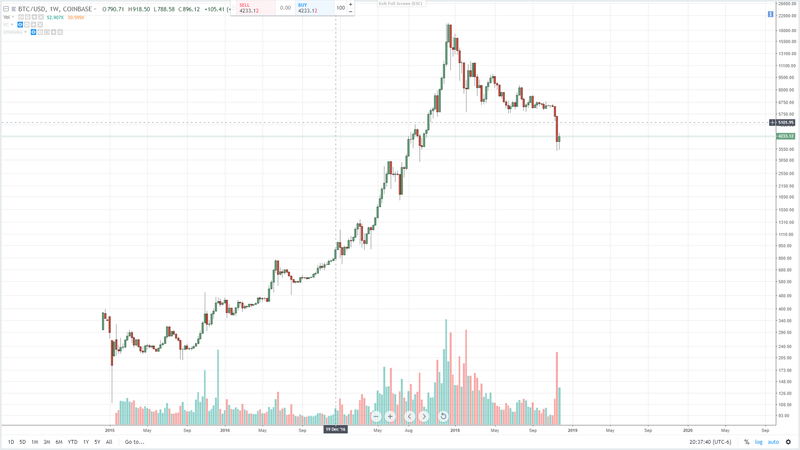 Logarithmic chart – price is scaled according to percent changes, so two equal percent changes are going to have the same vertical change/distance. 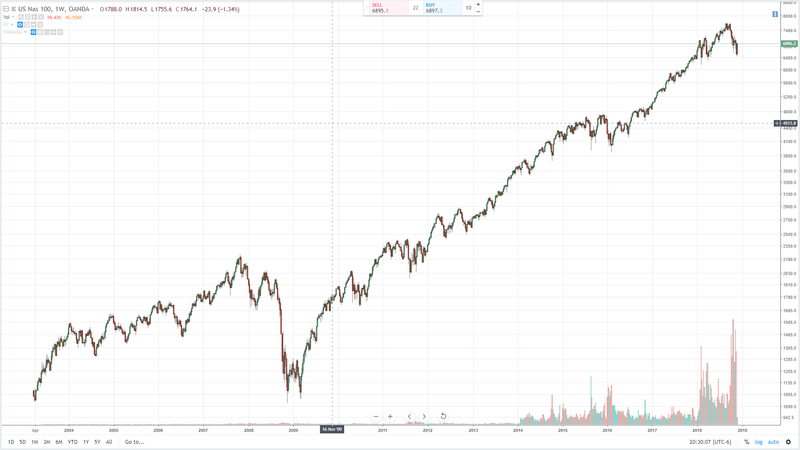 Ok, that sounds confusing, but let’s look at an example, the Nasdaq. This chart is probably the type of scale you are most familiar with, it’s the scale I use for charting 90% of the time. It’s the scale of charting I show here quite often. This looks different, doesn’t it? Provides a little different context and perspective than the linear chart. Especially the slope and the angles. Trend lines are especially important here. 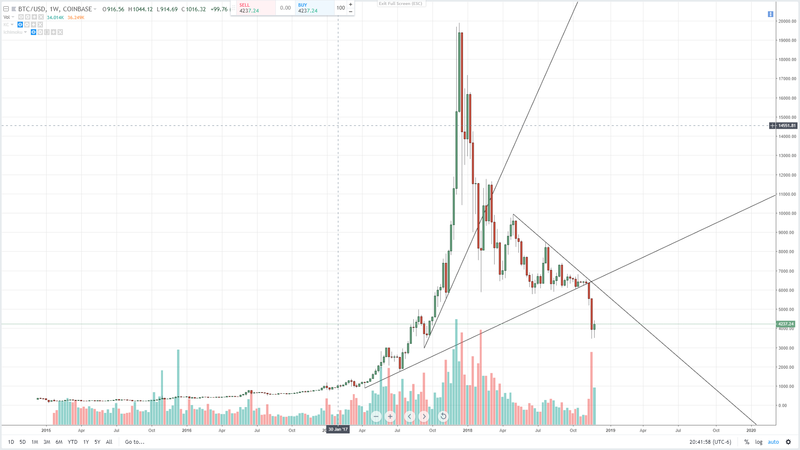 But let’s look at Bitcoin’s linear and logarithmic charts. Bitcoin, especially, shows the difference between the two chart scales. Bitcoin is actually a perfect example of an instrument that benefits the most from a logarithmic scaled chart. Why? Trendlines. 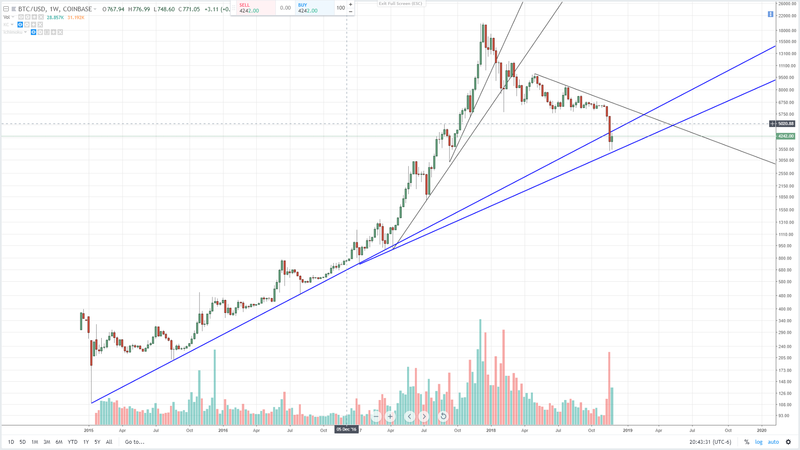 We can see that the logarithmic scale is not only much easier to draw a trend line against for the entire price history on this chart, but it provides a very easy to identify support zone for the present trading conditions.